North Fort Myers High School is under investigation this morning after School Resource Officers found several written threats of violence in the girls bathroom Friday morning. North Fort Myers High School has been the center of an investigation after School Resource Officers found several written threats of violence in the girl's bathroom Friday morning. In a letter to parents on Monday, Principal Debbie Diggs says the student responsible for the threats was arrested and will be disciplined and will face legal consequences. 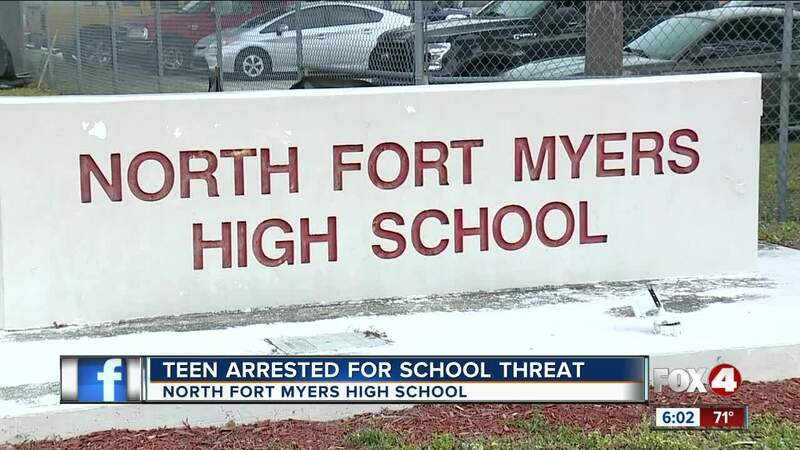 "Threats like this will not be tolerated at North Fort Myers High School. In this case, the student’s actions will have severe legal and educational consequences," she writes. According to the Lee County Sheriff's Office, a few hours after school began Friday morning, School Resource Officers (SRO) at the school were notified about several written threats of violence made in the girl's bathroom with dry erase markers. Some of the threats made included, "Shooting this school up Monday Feb 4," "Ima kill them all," and "Y'all don't need to live." Detectives say they immediately launched an investigation, even though they say the threats are not credible. The Lee County Sheriffs Office held a press conference Monday at 3pm. They announced they have arrested a 16-year-old girl in connection to the threats. The Sheriffs Office reminded everyone that they take these threats very seriously and there are repercussions if caught. The Lee County Sheriff's Office added an additional SRO to the school while it's under investigation. Anyone with any information is asked to call Crime Stoppers at 1-800-780-TIPS. You can remain anonymous.